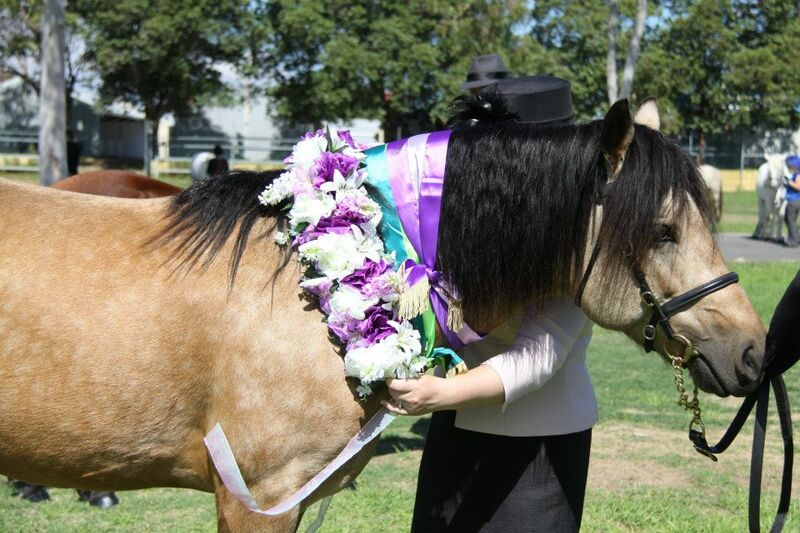 One of our resident stallions, Glenormiston Dundrum, and Emily have just returned home after competing at the APSB WA Stud Show, held over two days at the Claremont Showgrounds. 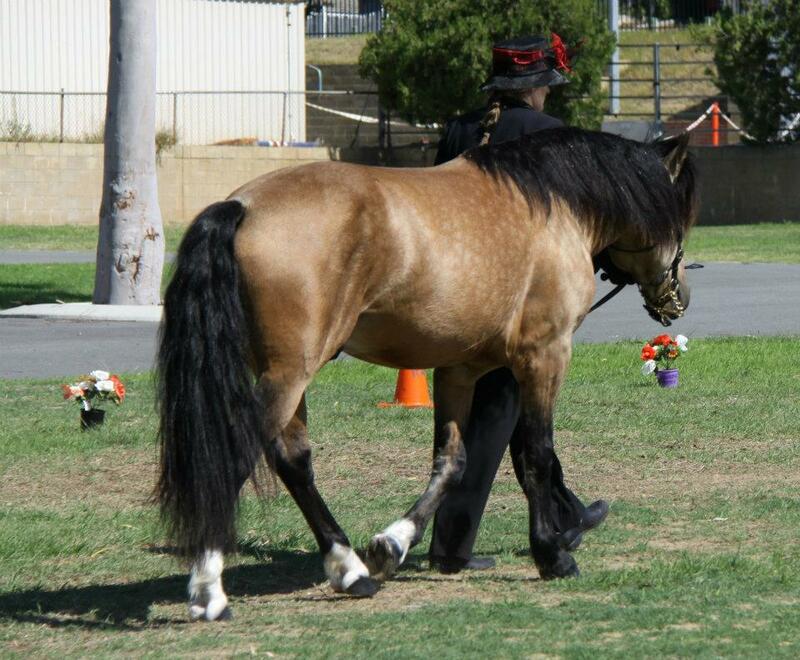 On the first day, Dundrum won Champion Connemara Stallion / Colt and was then sashed Supreme Connemara Pony under an interstate judge. He won a beautiful garland and special thanks must go to Di from Arlequin Garlands for the amazing creation! 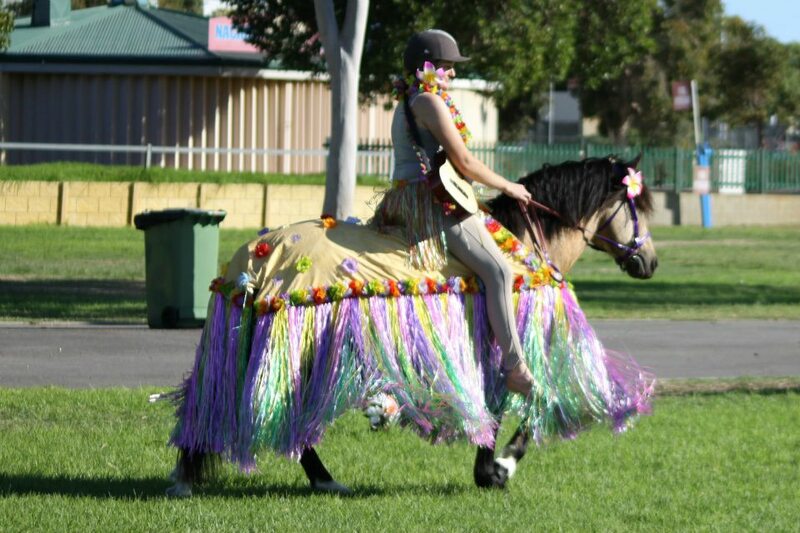 But the biggest news was that Dundrum and Emily won the Fancy Dress class (Riders / Handlers 18yrs & over) with their hula dancer outfit! 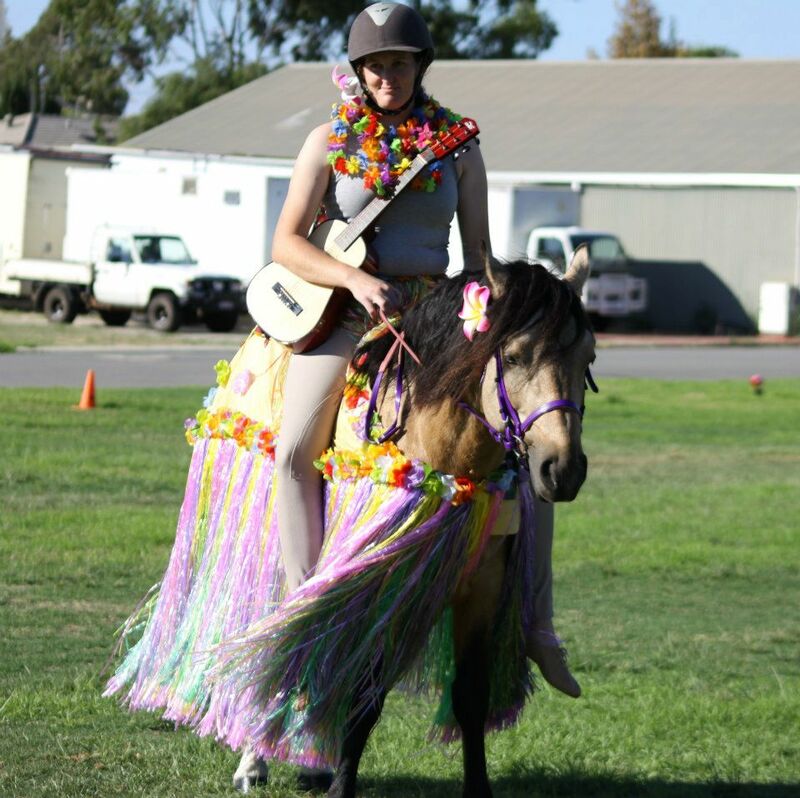 It is the first time stallions have been allowed to enter the fancy dress class, and we are very grateful for the APSB committee opening up the class which allowed us to compete! 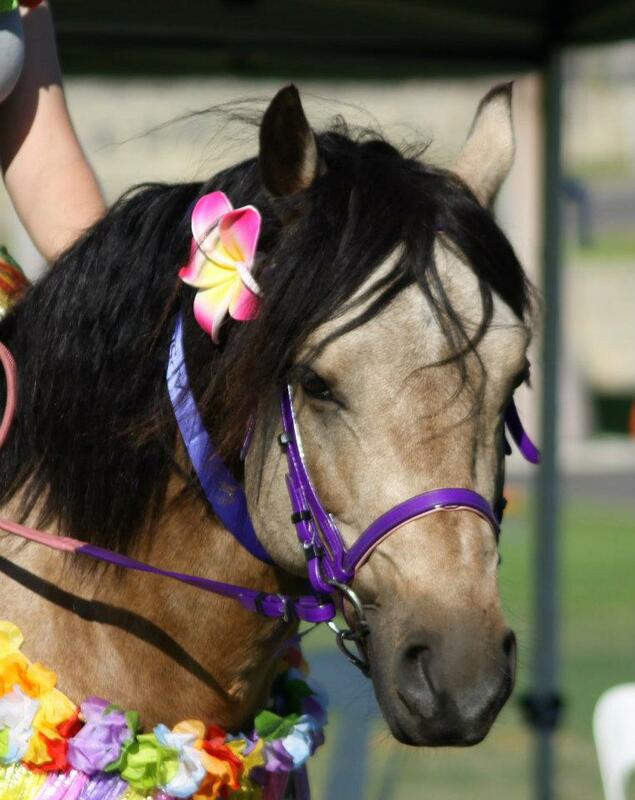 The ridden and performance classes were held on the sunday. Dundrum and Emily came 2nd to the lovely Highland stallion, Barrymore MacDonnell, in the Ridden Purebred Stallion over 12.2hh and then came 4th in their first ever dressage test! The handy pony class was ‘interesting’ and really showed that Emily did not go to pony club (although they still managed a respectable 3rd place!) and then finished the weekend off coming 4th in the open Working Hunter. All photos below with thanks to Nerryl Simmons. Emily & Dundrum in Hula! Headshot of Glenormiston Dundrum with his blue ribbon!